Considering that most of us will spend more than five years of our lives scanning social media, it’s as important a place as any these days to do some serious Spring cleaning. Here’s how to deep clean, declutter, and freshen up your feeds. The highly visual platform is one of the easier social outlets to clean out. If you use it a lot, clean out the same-sies. For instance, pick one smoothie bowl account to follow and kick the rest to the curb. Also, clean out any shaky videos, embarrassing photos, and more that might be keeping you from gaining followers. More specific tips for an Instagram INSTA-SHINE here. Twitter is a wonderful place for pared-down thoughts, information, and jokes (seriously, comedians thrive in 140 characters or less). It’s a great place to get world news, celebrity updates, and unexpected memes. So, follow away, but ditch the endless trolls and negativity. More specific tips for Taming Twitter here. Right now, Facebook is the dirty laundry hamper of social media platforms. And that can mean it’s also the most volatile and most in need of a good mopping. The rest of this post shows you how to clean Facebook head-to-toe. Right now, Facebook is the most popular and most embattled social network on the planet. This past week, nearly 100 lawmakers in the House and Senate grilled Facebook CEO Mark Zuckerberg about the company’s handling of user information in the wake of the Cambridge Analytica scandal. Over the course of two days, Zuckerberg fielded nearly 600 questions, including whether the company should be regulated, how the app might track people online and off, and how much Russians may have meddled with America’s democratic process through the social network. The hearings came in the wake of revelations that the political consulting firm Cambridge Analytica improperly harvested data of up to 87 million Facebook users. 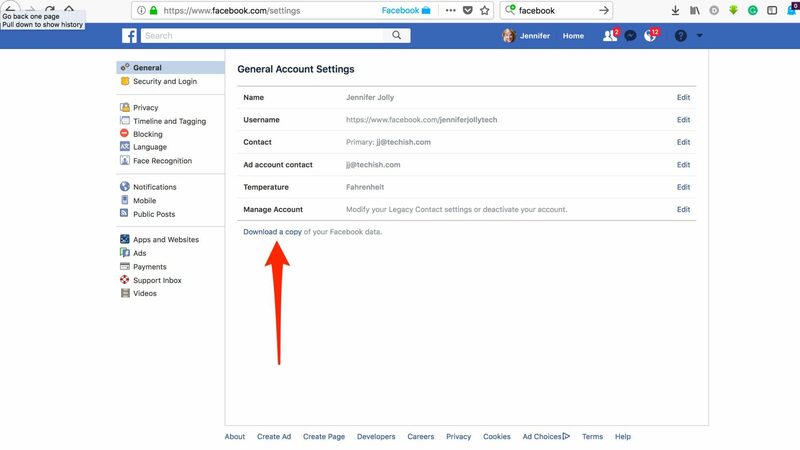 Also over the past few weeks, Facebook has changed more than a dozen settings and controls, including an easy-to-navigate new Privacy Shortcuts menu, a secure way to access and manage what you share with Facebook, and a way to permanently delete any info you want. Still, some people are opting to delete Facebook as a result of the privacy breach, while others are picking a serious purge instead. Go to Facebook on a desktop and click on News Feed in the left-hand corner. In the Preferences menu, choose Unfollow people to hide their posts. Click on every single person, page, and group there, then click Done. This is way too extreme for me. I use Facebook as a two-way exchange of ideas and online conversation. I actually like checking-in with my friends far and wide and appreciate seeing little snippets of their everyday lives. So rather than “nuking my newsfeed,” I did a deep-clean instead. I went through the Preferences menu and ditched a lot of old pages and groups. I also went all Marie Kondo on my massive group of friends — hovering over each name and photo — and deciding whether they “spark joy,” in either my online or real world. If the answer was an immediate “no,” or even a mild, “meh,” I either unfollowed, hid, snoozed, or went all the way and “unfriended” them. Click Unfollow for a person, page, or group. From your News Feed, click the three little dots (button) in the top right of the post and select Hide. 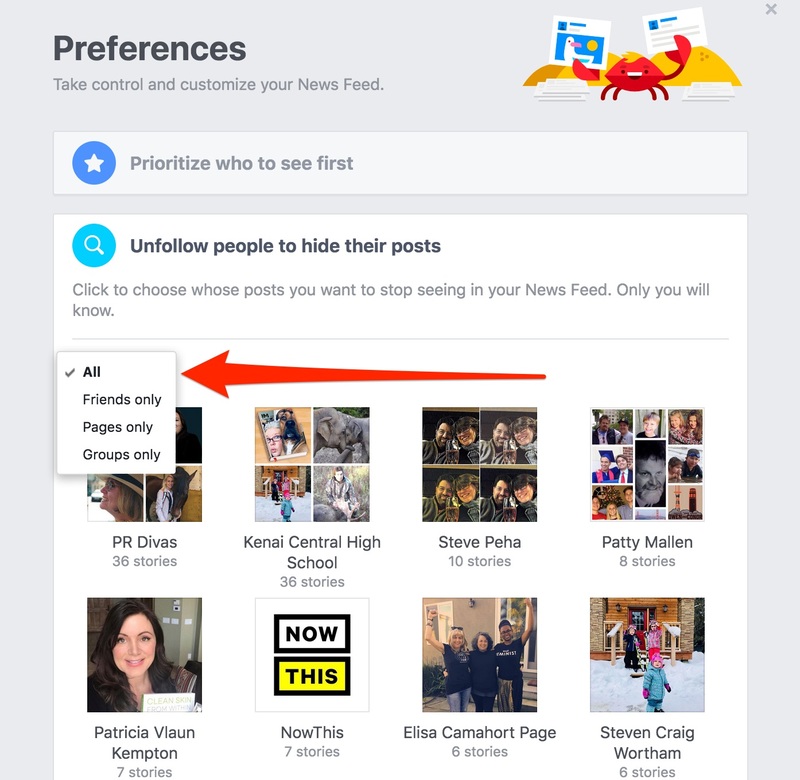 This gives you the option to see fewer posts from a specific person, Page or group. From your News Feed, click the three little dots top right of the post and select Snooze. This temporarily snoozes all posts from a specific person, Page or Group without unfriending them. That person will NOT get notified that you’ve unfriended them. For the top three above, you’re still friends; you just won’t see what they post in your News Feed anymore. You can undo it anytime. And don’t worry, people typically don’t know that you’ve unfriended them unless they try to write on your wall and get the option to “Friend” you instead. It’s okay to Unfriend people on Facebook. If you’re close in real life and don’t want to hurt their feelings, tell them about it next time you see them or send them a note to explain why you no longer wish to interact with them on Facebook. Maybe they actually need to know that their political postings are a little too much for you right now. Now that you’ve tamed the beast a bit, the next step is to sift through your archives and tidy-up your security settings. 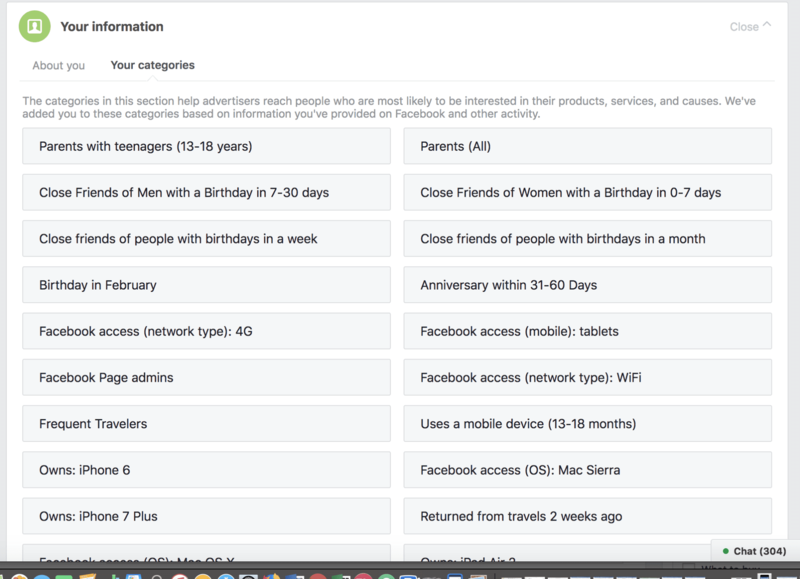 Download a copy of your Facebook data to see all of the personal information Facebook stores about you, including advertisers they’ve shared a lot of that information with. Click the arrow at the top right of any Facebook page and select Settings. My archive showed 46 advertisers Facebook’s shared my information with — several that I’ve never even heard of. It also showed nearly 298 apps that I logged into using Facebook. That means I gave those apps permission to see my profile and gather information about me. The next step then is to disconnect all that stored information and then “wall off” Facebook. 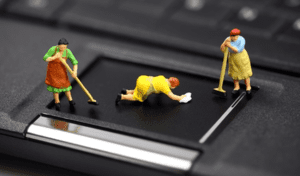 Now it’s time to get serious and get in there and do a deep clean starting with a sweep of your security settings – find out what you’ve shared and delete, change, update and manage it all. On a desktop, click the question mark in the upper right corner and scroll down to Privacy Shortcuts. From here, follow the list and customize everything you want to — including who can see your stuff, who can contact you and more. 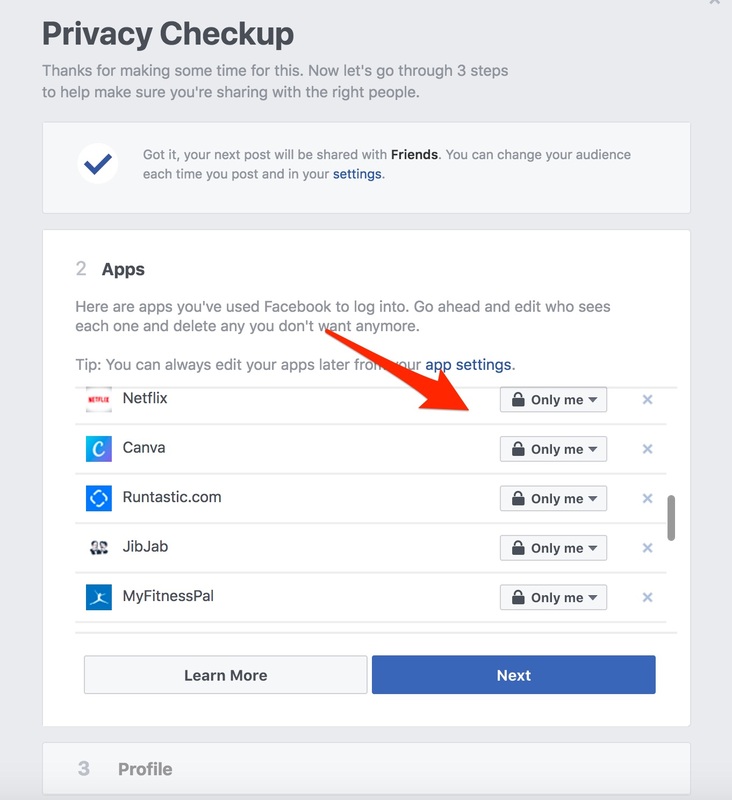 Scroll down to Apps to review third-party apps you’ve used Facebook to log into. Edit who sees each one and delete any you don’t want anymore. Now to your Ad preferences. 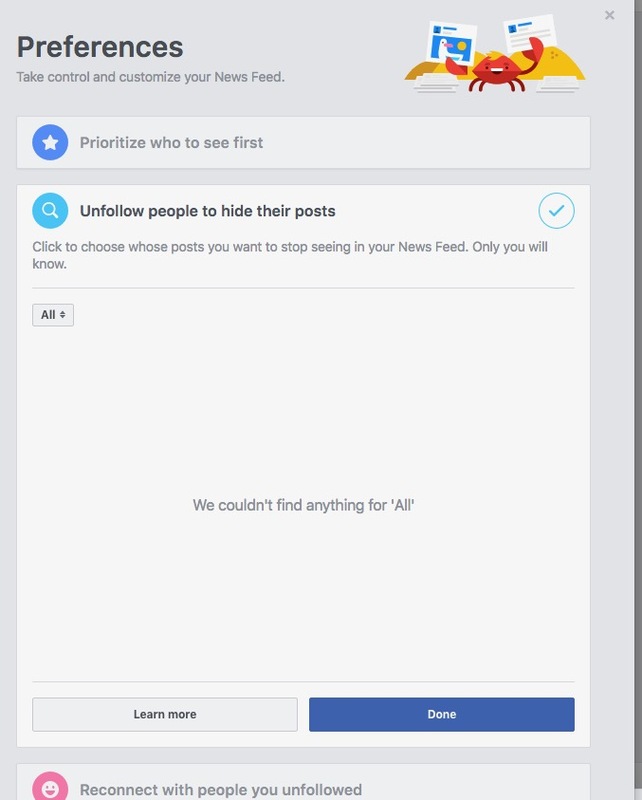 This helps you manage ads you see on Facebook. The way I get here is to click the arrow in the upper right-hand corner. Then click Ads on the left side menu. That takes you to your Ad preferences. You’ll want to spend some time here, combing through everything bit by bit starting with Your interests. Ditch anything that you want popping up anymore. Next, go to the Your Information > About you tab, and take a look at what pieces of private data you’re giving to advertisers. You’ll see that info like your employer, relationship status, education, and job title are all on by default, so toggle them “Off” to keep your details away from prying corporate eyes. Next, click the Your categories option to see how Facebook classifies you based on your political leanings, how often you use the site, what apps you use, and what kind of smartphone and computer you own. You can remove all of these as well. I also installed a new Firefox browser extension called Facebook Container to stop the social network from seeing what I do online beyond Facebook’s site. Ghostery is another extension with positive reviews. click the link above, and tap + Add to Firefox. The extension logs you out of Facebook, deletes Facebook cookies, and “walls off,” your activity from everything else you do online. (Cookies are those text files that websites use to keep tabs on you.) You’ll notice that the word “Facebook” appears in blue in the address bar after you add the extension. Every day you receive a notification with a list of your “friends” celebrating birthdays. Instead, look at is as a list of people you hardly talk to and, in some cases, don’t even recognize. Wish those you know and love an HBD and delete the rest. Facebook is a breeding ground for unsolicited and usually unsubstantiated opinions. These free-flowing thoughts are usually derogatory in nature and overflowing with likes from people who never left your hometown. Feel free to delete anyone who causes you to roll your eyes or say “um, what” out loud more than twice a week. If the images in your defaults album date back more than three to five years, you may consider deleting them. I know you looked good in your Halloween costume sophomore year of college, but save it to your private computer server, delete, and move on. Also, consider deleting any questionable images that maybe shouldn’t have ever been posted in the first place. Simply follow the trail of red solo cups to find them. To see everything Facebook’s updated in one place, go to our story here. To see if Cambridge Analytica accessed your private data, go here. Please reach out through the comments section here or on our social media sites – we love hearing from you – and answering your questions!